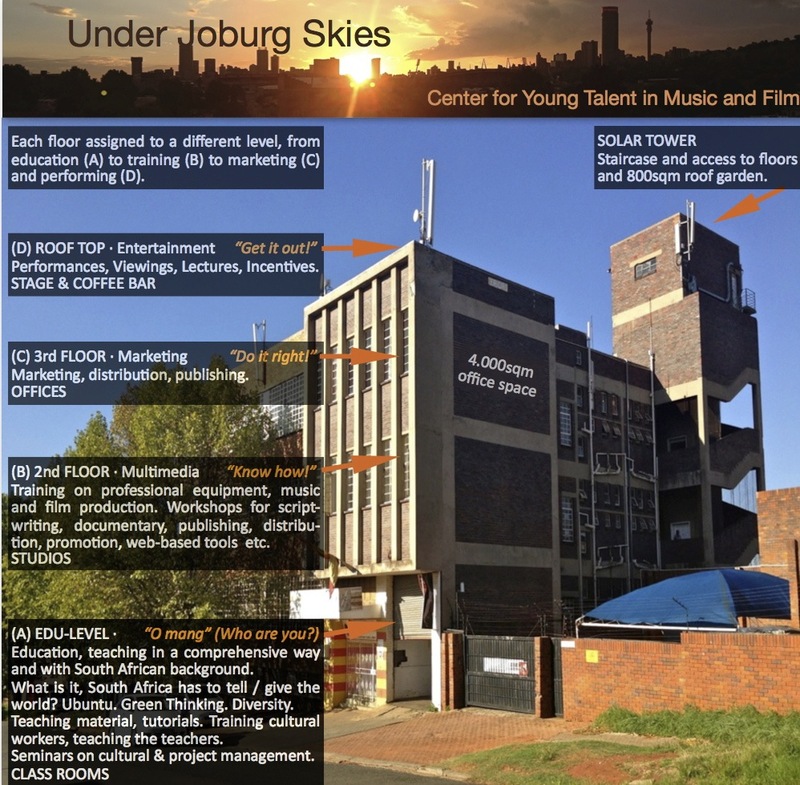 Under Joburg Skies is looking for a new building soon. Currently we have been offered two objects in Lorentzville with adequate infrastructure and possible further expansion. Original planning for the building include environmental aspects with the purpose to make it a role model for future city development projects and turning it into a green building. Construction and architectural planning is designed for independent supply and energy efficiency. With photovoltaic solar panels and organic gardens (vertical garden aquaponics), demands for both electricity and water shall be met off the grid. Costs for implementation and amortization will be surveyed in conjunction with GDA economic development programmes, Alive2Green support programs and with the Green Building Council of South Africa (GBCSA). Feasibility depends on the final decision on the building and due to the required investments, it is a long-term project. However, we are already discussing feasibility with the academic institutions involved. Exemplary building concept: The project was originally based at The LOFT, a well-maintained 4-storied factory building in Lorentzville, Johannesburg. While the lower floors served for education, training and networking projects, the roof garden served as a venue for live performances with spectacular 360° views on the ridges, downtown and Bezuidenhout Valley.